KABUL -- The number of Afghan civilians killed in the country's long-running conflict hit a record high in the first six months of 2018, the United Nations (UN) reported Sunday (July 15), hours before yet another suicide attack in Kabul. The toll of 1,692 fatalities was 1% more than a year earlier and the highest for the period since the UN Assistance Mission in Afghanistan (UNAMA) began keeping records in 2009. Another 3,430 civilians were wounded, down 5% from the same period last year, the report said. UNAMA attributed 52% of civilian casualties from suicide and complex attacks -- 1,413 total (427 deaths and 986 injured) -- to the "Islamic State of Iraq and Syria" (ISIS), mainly in Kabul and in Nangarhar Province, where the group established a stronghold after emerging in Afghanistan in 2014. The Taliban was responsible for 40% in that category. Hours after the report's release, a suicide bomber blew himself up in front of the Ministry of Rural Rehabilitation and Development (MRRD) in Kabul as workers were leaving their offices, killing at least seven Afghans and wounding more than 15, officials said. The explosion outside the ministry -- the second time in as many months that its compound has been struck -- was the work of ISIS, according to a report translated by the SITE monitoring agency. Civilians and security forces were among the seven dead, police spokesman Hashmat Stanikzai said. An Afghan security source confirmed the death toll. The bomber struck at a security gate as employees were exiting the compound during rush hour, said MRRD spokesman Fraidoon Azhand. Security forces and a vehicle belonging to foreign advisers to the ministry were in the vicinity at the time, Stanikzai said, adding that the exact target was not known. The blast damaged the vehicle but caused no foreign casualties, he said. 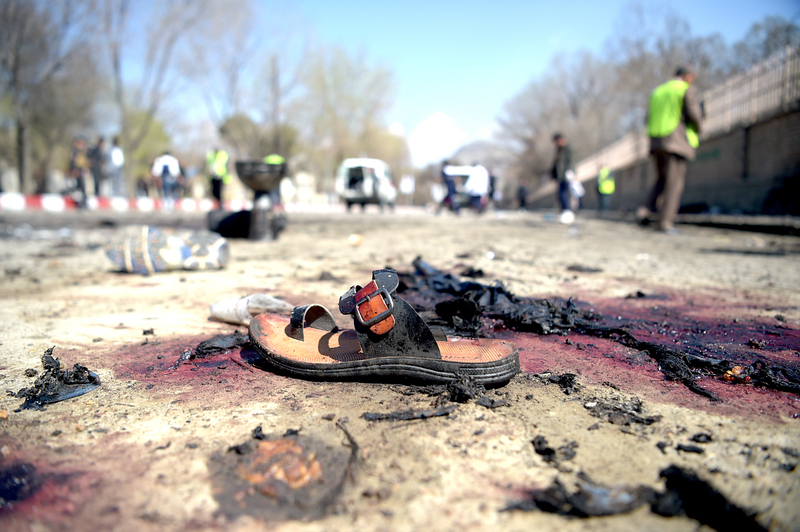 On June 11 an ISIS suicide bomber blew himself up as ministry workers queued for an early bus home during Ramadan, killing at least 13 Afghans and wounding 31. Sunday's bombing follows a series of recent attacks in Jalalabad, Nangarhar Province, with ISIS claiming responsibility for most. 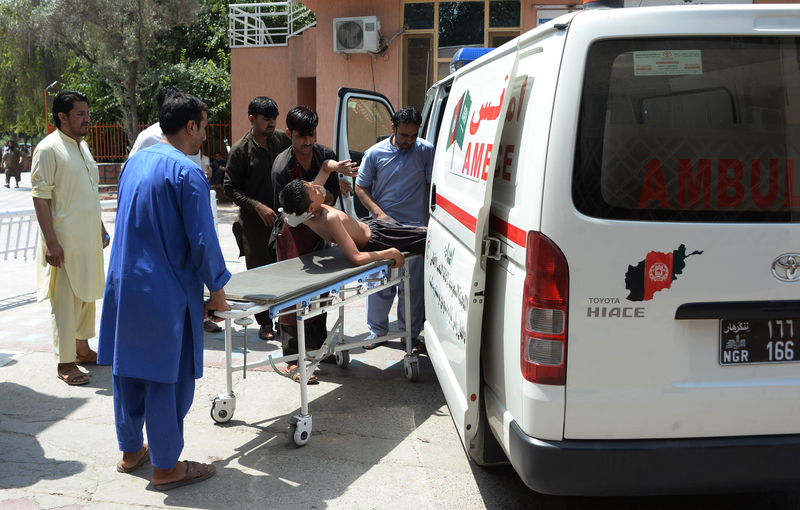 At least 11 people were killed and 10 wounded after gunmen stormed a provincial Education Department compound in Jalalabad on July 11. The dead were all employees of the Education Department branch and included the director. The wounded were mostly civilian employees of the department. On July 10, an ISIS suicide bombing in Jalalabad killed at least 12 people and ignited a nearby petrol station, with witnesses describing screaming victims "swallowed" by flames. The bomber was targeting Afghan security forces. Ten civilians were among the dead. On July 1, an ISIS suicide bomber blew himself up among a group of Afghan Sikhs and Hindus in Jalalabad, killing at least 19 people and wounding 21 others. The record high death toll came despite an unprecedented ceasefire by Afghan security forces and the Taliban for the first three days of Eid ul Fitr that both sides largely respected, UNAMA said. The ceasefire led to scenes of jubilation as security forces and Taliban fighters celebrated the holiday. However, the Taliban rejected a government request to extend the truce, returning to the battlefield and ignoring calls to enter talks with Kabul to end the war. "The brief ceasefire demonstrated that the fighting can be stopped and that Afghan civilians no longer need to bear the brunt of the war," said Tadamichi Yamamoto, the UN secretary-general's special representative for Afghanistan. Afghan security forces killed two gunmen who attacked a provincial education department compound a day after an ISIS suicide bombing rocked the city, officials say. Civilian casualties from attacks by the Taliban, ISIS and other militants 'deliberately targeting' ordinary Afghans more than doubled in the first quarter of 2018 as compared to the same period last year. 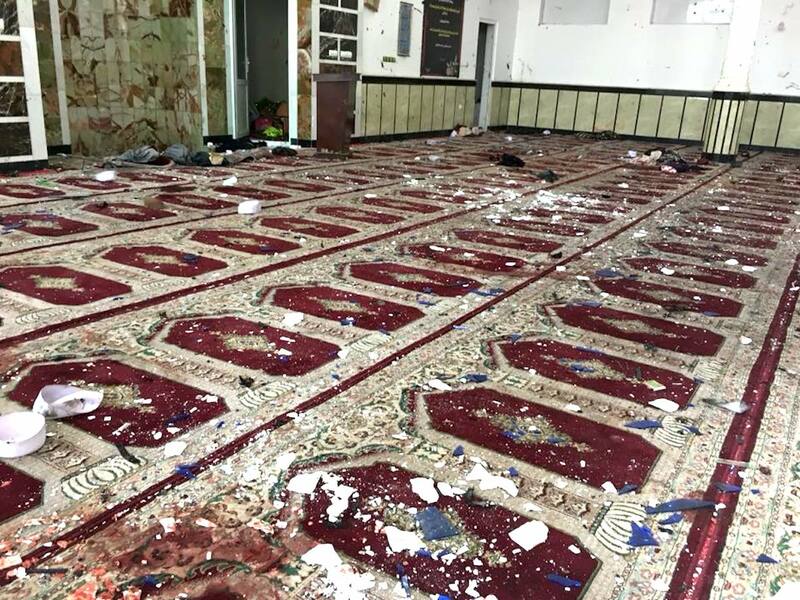 Once inside the mosque, the two attackers opened fire on the crowd of worshipers before detonating their bombs.